'Tis the season for low brass players to finally get the spotlight. Tuba Christmas is one of the best times of the year and is a great way that the nation not only celebrates the holiday season, but also truly exposes millions of future musicians to instruments that typically don't get that much attention in school bands. Each year Tuba Christmas performances pop up in malls, at schools, on ice rinks, in small towns, big cities and beyond. 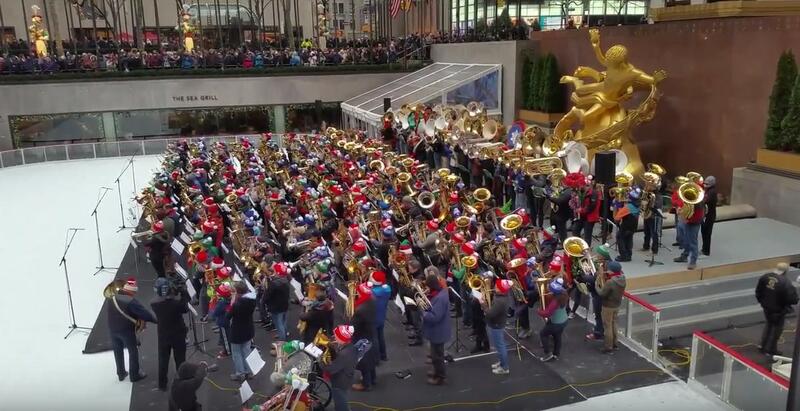 One of our favorites is the Tuba Christmas concert at Rockefeller Center in NYC. It's an annual tradition and a ton of fun.